Key feature from Angular even since AngularJS (ie: Angular 1.X), DI is a pure treasure from Angular, but injector hierarchy can be difficult to grasp at first. Add routing and dynamic load of modules and all could go wild... Services get created multiple times and if stateful (yes functional lovers, you sometimes need states) the global states (even worse ) is out of sync in some parts of your app. To get back in control of the singleton instances created for your app singleton, you need to be aware of a few things. 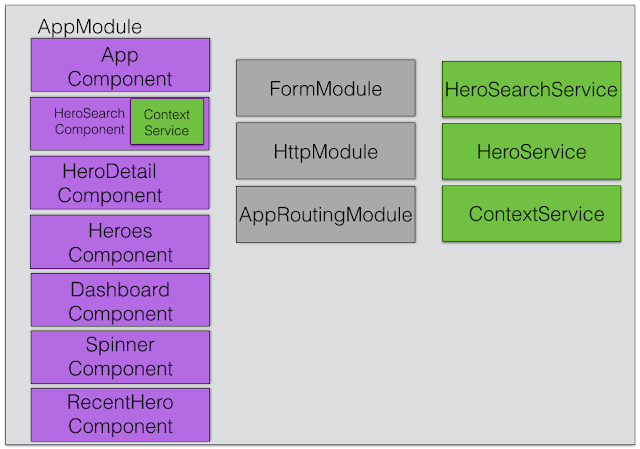 Let's reuse the tour of heroes app that you should be familiar with from when you first started at angular.io. Thansk to LarsKumbier for adapting it to webpack, I've forked the repo and adjust it to my demo's needs. All source code could be find on github. In this version of Tour of heroes, the app displays a Dashboard page and a Heroes page. I've added a RecentHeroCompoent that displays the recently selected heroes in both pages. This component uses the ContextService to store the recently added heroes. See AppModule in master branch. The heroes page is working fine listing below the recently visited heroes. However going to Dashboard/SearchHeroComponent, the recently visited heroes list is empty!! for the whole application when bootstrapping it in the AppModule. All services defined in providers will share the same instance. for a specific component and its sub components. Same as before but for à specific component. so if you redefine providers at Component level, you got a different instance. You've overriden global AppModule providers. Full source code in github here. Notice RecentHeroComponent and SpinnerComponent has been removed from imports. Intentionally the ContextService appears twice at SharedModule and AppModule level. Are we going to have duplicate instances? A Module does not have a specific injector (as opposed to Component which gets their own injector). 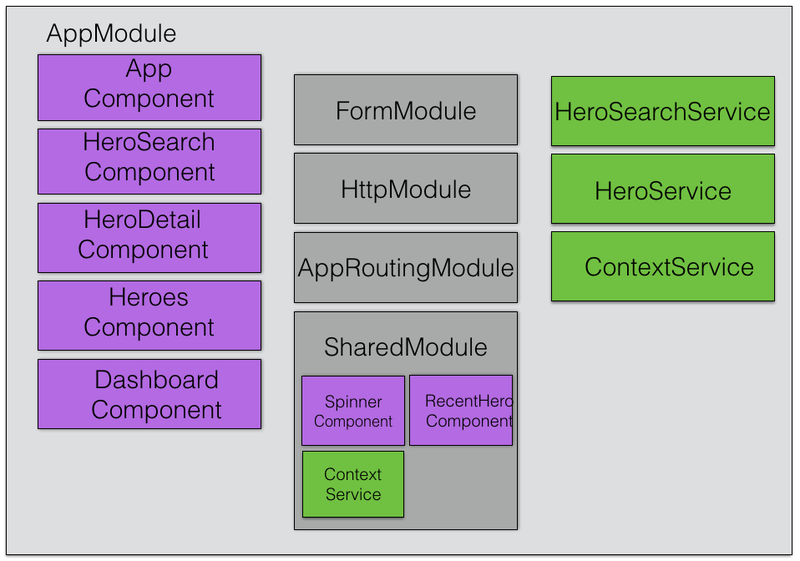 Therefore when AppModule provides a service for token ContextService and imports a SharedModule that also provides a service for token ContextService, then AppModule's service definition "wins". This is clearly stated in AppModule angular.io FAQ. In this blog post you've seen how providers on component plays an important role on how singleton get created. Modules are a different story, they do not provide encapsulation as component. Next blog posts, you will see how DI and dynamically loaded modules plays together. Stay tuned.